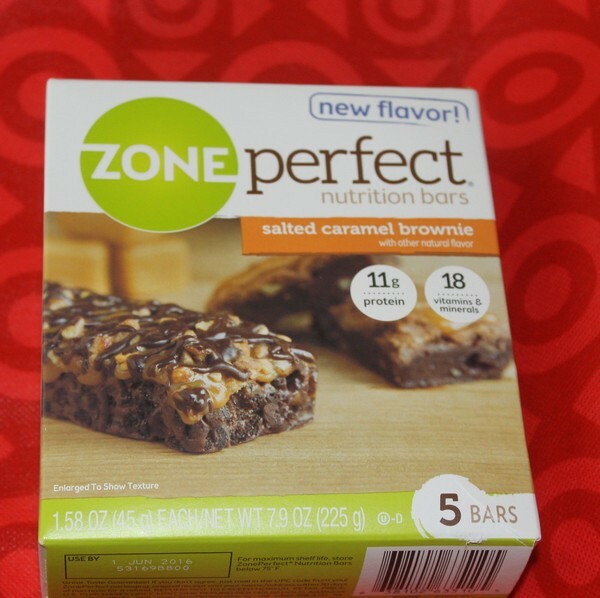 Last week I shared my ZonePerfect® shopping experience at Target and how easy it is to grab a delicious snack on the go at one of my favorite stores. Today, I’ll tell you what makes it such a perfect snack! Did you know that this was my LAST week to sleep in before school starts? Monday is Jake’s first day of 5th grade and I’m running around like a crazy person. I thought I had everything on his list, but of course, there are still things to do. He needs a haircut, a new lunchbox and some odds and ends. I sometimes leave things to the last minute because, honestly, I work better under intense deadlines. Seriously! I’m not a procrastinator! Okay, maybe a little. But I honestly do work better when I have to get something done right away. It’s a hold-over from journalism school, I guess. The last weekend before school starts means more than just finishing up all the back to school shopping left to do. I feel this intense pressure to make it the most fun weekend ever. That sudden feeling that we didn’t do enough exciting stuff over the summer, so we have to cram it all into 48 hours. The pool, the beach, picnics, hiking, movies…everything! Realistically, I know I won’t get to do all that (the beach is hours away, after all! ), and we do have a four-day weekend for Labor Day. Who makes up these schedules? Back to school, then a long weekend, then back to school again. Then, once Monday comes around, I’ll be back to waking up way too early and working way too many hours, because I forget to give myself a break. I’m like the worst boss ever to myself! Lunch break? What’s that? I grab something out of my kitchen cabinet that I can eat with one hand (sometimes no hands!) and keep on writing! When I get in the flow, I can’t stop. Grab the perfect snack on the go! Whether I’m running around getting Jake ready for back to school or working at my computer all day, I need something fast and easy to hold me over until I actually eat a meal. Something filling yet tasty, convenient yet packed with nutrition. ZonePerfect® lives up to the “perfect” part of its name! 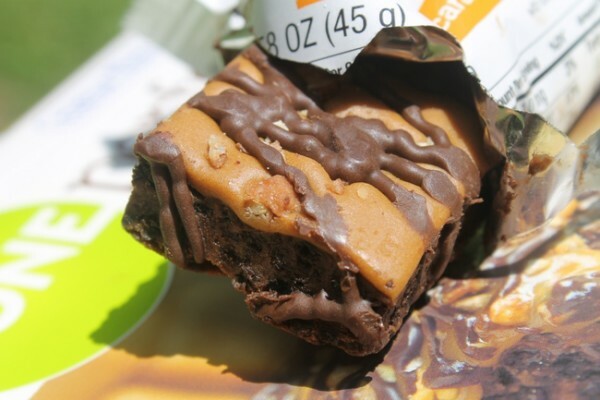 Their Salted Caramel Brownie bars taste like a dessert, yet they’re packed with 11 grams of protein plus 18 vitamins and minerals. Just look at that thick, rich chocolaty goodness! 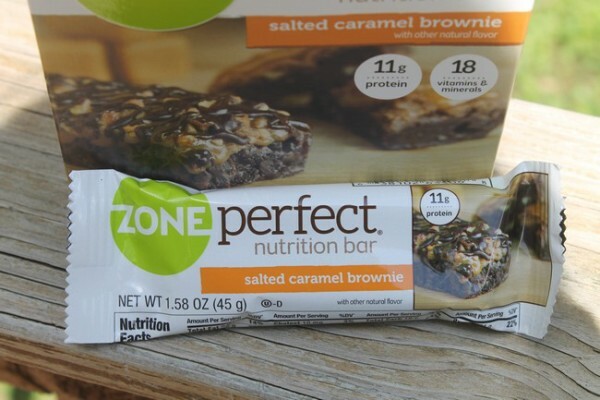 ZonePerfect® bars have so much texture and flavor. I am really looking forward to grabbing a few more varieties. I’m loving the caramel brownie flavor, but I saw a Dark Chocolate Pretzel flavor that has been calling my name ever since. Doesn’t that sound spectacular? I also want to grab a few boxes of Perfectly Simple™ at Target for those days when I want something a little more “naked.” Yes, even I have moments where I’m not in the mood for chocolate. I know, it’s a shock, right? Plus. I can save 5% through the Cartwheel app now through September 5th, so that makes it even more appealing! Also, if you buy any 3 ZonePerfect® products from Target, you’ll get a $5 Target Gift card. That definitely makes me happy! Life gets crazy for us moms. Once back to school season starts, it’s only going to get more hectic. Don’t forget, the holidays are coming up next! It’s good to know that I can pop a ZonePerfect® bar in my purse, car or just in the basket next to my desk and keep on moving. When do you most need a perfect on-the-go snack? Tell me about your busy life! This is a sponsored conversation written by me on behalf of Abbott Nutrition. The opinions and text are all mine. I’ve had Zone Perfect bars before and they’re a great way to snack and stay full in the afternoon before I get home for dinnner!